Star is Featured in the Latest Issue of Sign Builder Illustrated! 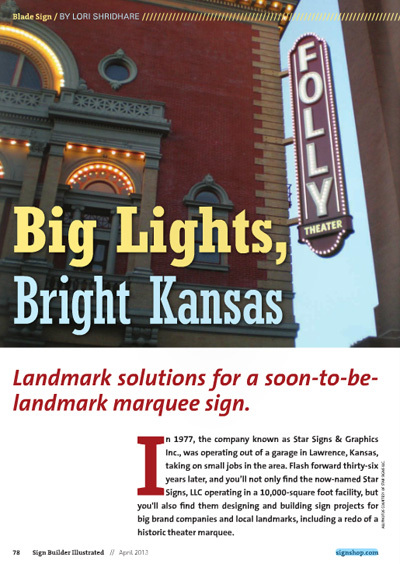 Check out the latest issue of Sign Builder Illustrated for a great article on Star Signs and the Folly Theater Marquee project! The article can be found on page 78 of the physical magazine if you have a copy on hand, or on page 80 of the digital edition here!